Here’s the thing about searching for illustrators for your indie children’s picture books: it’s all about creating the best book possible. Within the bounds of your story, your creative sensibility, and your budget, how do you create the best book possible? The problem, of course, is that you can’t draw, paint, illustrate, design, or even color a picture. You only do the words. How do you work with an illustrator? First, educate yourself about art. This article from Graphic Mama explains the different mediums, or the type of art materials such as watercolor or woodcuts. Take art appreciation classes and study layout and design. The key, however, is that you know Story, with a capital S. You’re a writer who has created a special story, and you’ve provided great prompts in the text for an illustrator. As you work through the process, concentrate on the story, not trivial details. Does the finished book create the right reader experience for your story? That’s your sole criteria for judging the art. So, let’s jump into details on how to find an illustrator. I find it best to cast a wide net, certainly past your own acquaintances. Usually your neighbor who’s a hobby artist will not be able to create the book of your dreams. Behance.net is a social media platform from Adobe where illustrators worldwide post portfolios. I regularly spend time sifting through the artwork. Sometimes, I’ll look for children’s book artists because they’ll be experienced and you’ll have fewer blunders in the process. If you’re not comfortable with art direction, you may want to stick to someone who’s done a few books already. Sometimes, though, I’ll just put in a keyword related to my book, such as “spiders” or “ghosts.” This widens my choices of artists. In other words, I don’t care if they’ve published a children’s book before. I’m confident that I can give enough art direction that a great artist can work within. Most of my illustrators publish their debut book with me. Behance allows you to contact the illustrator through their platform, but often, there are links to the artist’s website. I usually click through because it’s good to look through their entire range of art. Professionals already working in children’s books can be found through the Society of Children’s BookWriters and Illustrators (SCBWI). Sometimes, you can find collectives of artists work such as Children’s Book Artists. 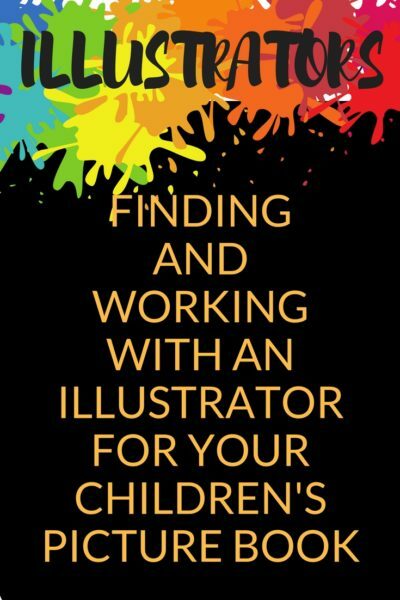 So, you’ve found a great illustrator and you should contact them immediately, right? Wrong. Let’s back up to the project in question. Let’s say your book is August Follies, and is the story of a family picnic. What kind of illustrations do you want for this book to enhance the reader’s experience? What have you allotted in your budget for an illustrator? Illustrators are freelance professionals and before you contact them, you need to know the specifications for the project so they can decide if the price is right for the amount of work you’re asking. Here’s what you need to know so you can write those specs. How will you print the book? Print on demand or offset? Does the printer provide templates for the interior and/or cover? What trim size will work best for this project? In other words, how big, or how many inches (or cm) width and height will the book be? How many pages? Standard picture books are 32 pages; however, with print-on-demand technology, you can go up or down if you have a good reason. Next, you’ll need to know what type of contract you’ll offer. DISCLAIMER: I’m not a lawyer and you should consult one to develop a contract for your company. This is only general information. I use and recommend Aimee Bissonette at Little Buffalo Law. Work for hire means the artists creates commission work specifically for this project and you will own all copyright to the art. Licensing artwork usually mean the artist retains copyright, and you only license the right to use the art in this project. In this case, the art may be re-licensed and appear in other publications later. As part of the contract agreement, you can negotiation if the artist must wait for a time period or restrict it from certain uses, such as other children’s books. A royalty agreement means you’ll be sharing the profits with the illustrator. Traditional publishers offer an advance on royalties, which means they pay the artist a certain amount upfront, and will pay no more until that amount is “earned out.” Then, they specify a percentage of sale price that they’ll pay. For example, an artist might receive $5000 advance, with 5% royalty for a picture book that costs $20 (to make the math easy). In other words, for each book that sells, the illustrator receives $1. The book must sell 5000 copies to “earn out” the advance. After that, the book would accumulate royalty payments that are paid out twice a year. Some publishers offer royalty based on net proceeds instead of sale price, so the book would need to sell even more copies before the advance is earned out. A final contract agreement is a partnership, which means you and the illustrator will share any profits. Usually this is 50% – 50%, but you can negotiate anything that makes sense to both parties. As an indie publisher, how to do you plan to pay the illustrator? If you consider the accounting, work for hire is the easiest, and the complexity increases with each of the other options. The other question you must answer is how much to offer the illustrator. First, set up a budget for the book. This isn’t the article to go into that, but you’ll need to have an idea of other costs and how much you can afford. Keep in mind that the illustrator’s time and work are valuable. I wish I could give you a figure, but it varies from $1000 to $20,000, or more. What can you afford and still make a profit? Set your budget and stick to it. There are likely a variety of illustrators available in your price range. I offer an online video course with 32 videos, plus a workbook, on How to Write a Children’s Picture Book. For more information, CLICK HERE. How fast do you want the art done? It’s helpful to set up a timeline for certain events in the publishing process. You’ll want to include any outside deadlines or events, key dates for delivery of sketches and final art, time needed for copy edits, time needed for the book designer to complete work, time to send to review journals, and some leeway in case anything goes wrong. Each book needs a slightly different timeline, especially if you’re working with other professionals such as a book designer or copy editor. The illustrator doesn’t need to know all of that, of course, but you do because it’s good practice to give them deadlines for delivery of art in a couple phases. I usually pay 25% on signing the contract, 25% on approval of sketches and 50% on delivery of final art. Sketches and final art both have deadlines. 32 page illustrated color picture book, 8.5” x 8.5” Indesign or Photoshop template provided that specify the final size of art. Double-page color cover, Indesign or Photoshop template provided. Single page illustration for page 32. All images must be delivered as tiff or jpeg files at 300 dpi. Work for hire contract, world-wide rights, with payment of $XXXX, to be paid following this schedule. 50% payment upon delivery of final art. Of course, modify to fit your needs. Be professional. You’re a book publisher with a children’s book project. You know what you need and how much you can afford. Behance allows you to contact artists through their platform, but I usually go to email when possible. Other platforms such as Guru.com and Freelancer.com provide means of contacting and even managing the process of payment. About costs: On your first couple projects, your budget may be very tight. Fine. Don’t apologize. You’re offering work, and the artist makes a professional decision based on their own needs and desires. If your published books have awards, mention them, but don’t promise any kind of award for the current project. Your first contact with an illustrator should be a general inquiry asking if they have interest in working on a children’s book. If they answer yes, you can provide specs and the manuscript. If they are still interested, you’ll move into contract negotiations. Observation: Often, foreign artists have lower cost of living and can afford to accept a lower payment. I’ve successfully worked with artists in Great Britain, Poland, and Columbia. Payments for overseas artists is usually through PayPal or Western Union. The contract that you sign with the illustrator is a legal document. Be sure to have a lawyer vet all contracts. Basically, though, everything is negotiable. Go into the process knowing what you want and where you can and cannot budge. Often, the only thing an illustrator asks for is a bigger payment, so be ready with a counter offer and know your absolute limit, past which you’ll have to look for a different illustrator. For signing the contract, I use SIGNNOW, an online service that manages the document signing process smoothly. A digital signing service also makes it easy to work with someone overseas. Hurrah! You’ve signed up an illustrator for AUGUST FOLLIES. Now what? First, deliver any reference material. My books are often nonfiction, which require the illustrator to use reference photos. 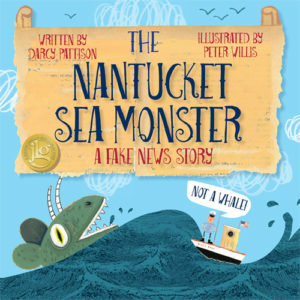 For example, THE NANTUCKET SEA MONSTER is based on a true event for which there is great documentation. Because I work with internationals, I usually use DropBox or a similar service to deliver large files. It works worldwide and is a simple process. Also, discuss with the illustrator how they prefer to communicate: email, phone calls, or video calls. Next, answer questions. There are always questions about the story, the reference material, your preferences, and so on. Be available and prompt in communicating with the artist, and in return, they’ll be prompt and available. I’ve found that good communication is one of the most important things to making a project work well. When you get the sketches, this is your chance to change anything and everything. The artist hasn’t invested lots of time yet, so it’s easy to suggest changes. Here are some things to look for. Text placement – In the West, we read picture book text left to right and top to bottom. On a double-page spread, say pages 2-3, the text flow is top left, bottom left, top right, bottom right. You can skip any of those or indeed, just use one placement. Just be sure the story flows across the page correctly. Gutter – When books are printed and bound, the binding takes some room. The area near the center binding is called the gutter. Nothing important should be placed near the gutter: art elements, text, or important design elements. Artists can get lost in the composition and forget that the double-page spread must accommodate that gutter. Usually book interior templates account for this and push important elements away, but I always check gutters in the sketch phase. Storytelling – There’s a big difference in a great artist and a great illustrator. The illustrator works to add emotions and to fill out the story. Their art conveys character, action, and setting. This is the time to make sure that the story is told in both art and text. Page Turns – Often when I write a picture book manuscript, I’ll work to add a page turn. In other words, the text is divided up in such a way that the reader is compelled to turn the page. Sometimes, you can divide a sentence in half and finish it on the next double-page spread. The first half makes the reader want to find out what happens next, and the page turn reveals the answer. These are often set up with leading words: Until, Then, But. During the sketch phase, I like to reevaluate all page turns and create the most interesting possible. Pacing – When you divide a picture book text, you may end up with lots of text on one double-page spread and only a single sentence or a single work on another spread. This pacing of the story makes the reader speed up, slow down, pay attention, gasp or shiver, or any number of emotional responses. 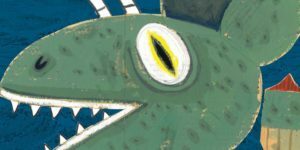 Now’s the time to enhance story suspense by pacing the illustrations.In THE NANTUCKET SEA MONSTER STORY, I realized that we could create a combination of a great page turn and a wordless spread. Sketches stage is crucial for creating synergy between the art and the words to create a great picture book. This wordless spread allows readers to take in the sea monster before the page turn reveals a surprise. This spread was crucial to the pacing of the story. Cover – The cover is your book’s most important sales tool. Now is the time to try out different fonts, text placement, etc. That way, the art will fit with the cover layout. Don’t wait for these crucial decisions until the art comes in. That’s too late. Usually artists send me a couple updates during the process of creating the final color art. I like it best when they put the art into the InDesign template and create a low-resolution pdf to send. (Again, use Dropbox or similar service for any large files.) It’s good to touch base now and then because this can take a long time, depending on the artist’s style and other projects. Usually, I like to just see that there’s some progress. Of course, I’m always available to answer questions. Be a cheerleader for the artist and celebrate every milestone. You want to change the specs. Let’s say that you’ve been getting bids from printers and decide to change the finished trim size from 8.5” x 8.5” to 8.5” x 11”. That’s the sort of thing that might legitimately happen. Unfortunately, you signed a contract based on the first specs. It’s not fair to change the specs in any way without extra payment. Any changes should be in writing and a substantial change order would include extra fees. Be very sure of your specs before you sign that contract. Deadline not met. Late art is another common problem. When I set up a timeline for a book’s production, it’s not random. It’s based on deadlines for submission to distribution partners, review journals, and the marketplace. You’ll have to decide how to deal with this on a case by case basis. Why is the art late? Illnesses, natural disasters, and so on are excusable, if irritating. But if the artist is simply not working, and you’ve seen no art at tall, you may need to consider terminating the contract. It’s not fun, but the process should be in your contract. Work with artists when possible, but remember that you’re a business person and make decisions accordingly. Personal problems. One of my best illustrators had twin boys. Besides the difficult last days of pregnancy, it meant about two years when her focus was on her family. It happens. Emotional problems, divorce, break up of a relationship—life often interferes with the artistic process. Again, deal with these on a case by case basis. For the mother of twins, I waited two years for art because it was book four of a series, and I loved her work. Artwork won’t create the best book possible. What if you’ve gone through the whole process and you look at the final art and cringe? Should you publish it anyway? This is a personal, professional and business decision that you’ll have to figure out for yourself. If you’ve paid for the final art, you’ve kept your end of the contract. But you always have the option to simply not publish and to go back and begin again. It goes back to what we started with: Does the finished book create the right reader experience for your story? If it doesn’t, stop. Think. Decide what to do next. Indie novelists have an easy time choosing art. They only care about the cover, the sales tool. Children’s picture books, however, must consider how storytelling meshes together text and words into a gestalt experience. If you publish a children’s picture book, you’ve got to gain the crucial skills of finding and working with great illustrators. What challenges, joys and problems have you found in the process? The more you understand about the process of illustrating a children’s picture book, the better you’ll be able to direct the artist. Here are some starting points. Shelley, John. 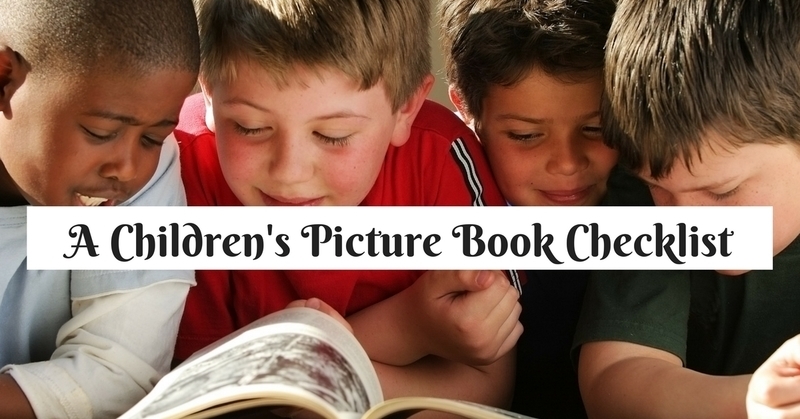 Picture book Basics – Understanding Format. Words & Pictures Blog, Online Magazine of the SCBWI British Isles. Shelley, John. Picture Book Basics – Sketches and Layout. Words & Pictures Blog, Online Magazine of the SCBWI British Isles. The Design of a Picture Book blog has many interesting posts on picture books, including layout and design. Bang, Molly. Picture This. Originally pubished in 1991, this book is now available as a pdf. This is an excellent book that explains how layout and composition within a page can evoke emotions. I’ve done this with kids and had amazing results.